When designing GE Healthcare’s newest mammography system, Senographe Pristina, lead industrial designer Aurelie Boudier asked her colleagues one question: how do we design a more comfortable mammogram? Their vision would eventually turn into a new mammography system unlike any others, one designed by a team of women specifically with comfort in mind. “I know that our team did our job if more women are going for their annual mammograms and aren’t scared to walk into the room and do the exam,” Boudier says. 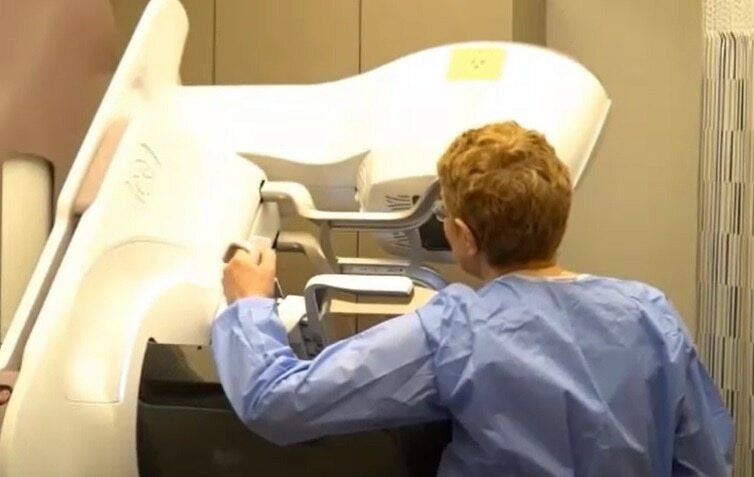 “It’s such an important part of maintaining a healthy life and I want it to be a less painful experience for women around the world.” Read on to hear one patient’s breast cancer journey and why a more comfortable mammography experience matters to her. A year ago while getting dressed, Mrs. Atar accidentally bumped her breast. She normally wouldn’t think anything of it, but she felt something rigid and immediately knew something was wrong. She wasted no time and went to see her doctor the next day. 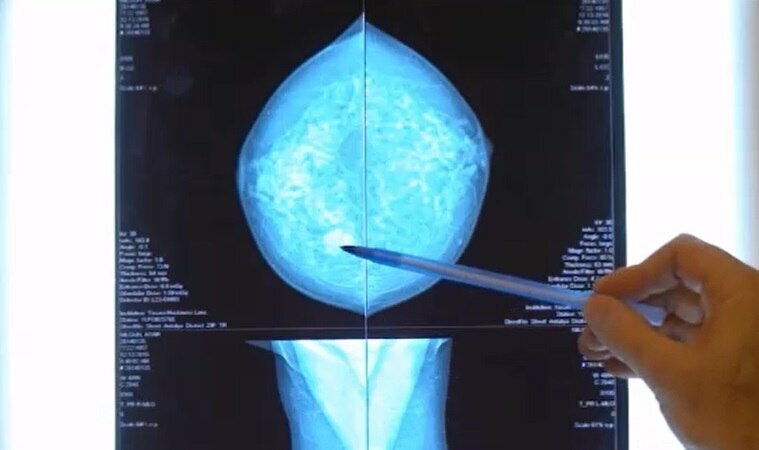 Her doctor sent her for a mammogram, which showed a suspicious mass in her breast. Atar is among the forty percent of women who have dense breast tissue. Breast density is a measurement of the amount of fatty tissue versus the amount of fibrous tissue in the breast. The more connective tissue there is, the denser the breast tissue is and the whiter it will look on a mammogram. Both cancer and dense tissue show up white on a mammogram, so looking for tumors in women with dense breasts can be like looking for a snowball in a snowstorm. Because of this, they are often missed by radiologists. Because of Atar’s breast density, Dr. Aribal ordered an automated breast ultrasound (ABUS) exam, which confirmed that it was a mass. They then did a biopsy to determine the type of mass — it was a malignant tumor. Atar’s doctor called her into his office to share the results. He told her he had both good and bad news. The good? They caught her cancer early. The bad? Her mass was malignant and aggressive. She was going to need surgery right away. Atar’s surgery was successful and the mass was removed. But even after surgery, it was still hard for her to accept that she had cancer. Atar received a mammogram and an ABUS exam a year later, which did not show any extra masses or newly developed growths. She was all clear. Mammography screening is often considered the first line of defense when it comes to fighting breast cancer. Dr. Arıbal recommends to his patients in Turkey that women 40 and older receive a breast cancer screening mammogram every year. He also recommends that women with dense breast tissue receive an ABUS exam. Using ABUS in addition to mammography has shown a 55 percent relative increase in detecting invasive breast cancers in women with dense breasts over using mammography alone. Acibadem Healthcare Group uses Senographe Pristina, a completely redesigned mammography system that replaced traditional design with rounded edges and a thinner image detector to create a more pleasant experience for women, as well as armrests that position women to relax rather than tense up during the compression and image acquisition process. 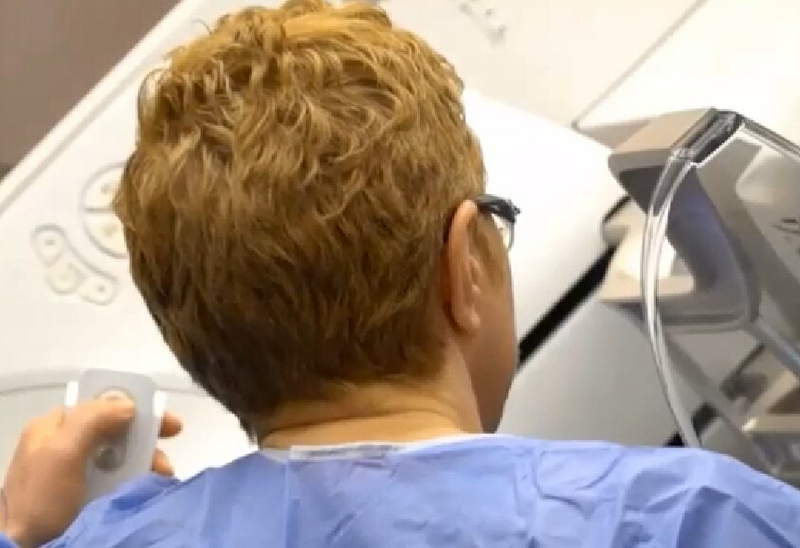 It also features an option to use a first-in-industry patient-assisted compression remote control, called Pristina Dueta, to enable the patient, with the help of a technologist, to set the breast compression that feels right for her. The system was created by a team of women to help decrease pain associated with the exam, improve the patient experience and improve outcomes for breast cancer screening. 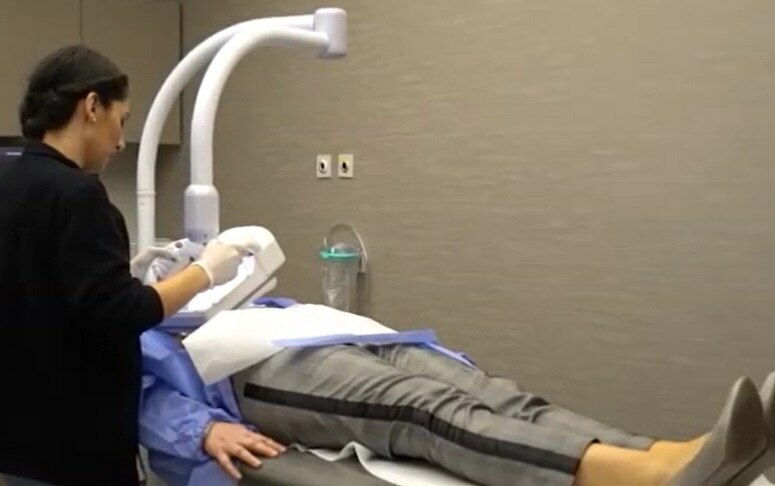 Dr. Arıbal has scanned more than 2000 patients on the Senographe Pristina since installing it in April 2017. Atar was able to use the Pristina Dueta during her latest mammogram on the Senographe Pristina. Senographe Pristina and Pristina Dueta may not be available in all geographies. Consult your doctor for more information. Pisano et al. Diagnostic Performance of Digital versus Film Mammography for Breast –Cancer Screening. NEJM 2005;353:1773. Brem RF, Tabár L, et.al. Assessing Improvement in Detection of Breast Cancer with Three-dimensional Automated Breast US in Women with Dense Breast Tissue: The SomoInsight Study. Radiology. 2015 Mar; 274(3): 663-73. Increase in sensitivity associated with an overall decrease in specificity.